For the first time in five starts, Aidan O'Brien's Alluringly won't have to worry about finishing behind a John Gosden-trained filly and the drop in class for this evening's Irish Stallion Farms EBF Hurry Harriet Stakes should see her return to winning ways. Alluringly's reversal to Enable in the Cheshire Oaks looked a bit of a surprise at the time but Enable has obviously gone on to prove that she is one of the best in the game. After finishing down the field in her three Group One runs since, the champion trainer looks to have found a good opportunity for Alluringly. Stall 12 wouldn't be ideal for a likely favourite, however, and she will have to overcome that inconvenience, but she is still preferred to Dermot Weld's Making Light and the unbeaten Elegant Pose, who seeks a hat-trick for Ger Lyons. O'Brien, who unsurprisingly made a strong book of entries for the Irish Champions Weekend trial races at the Curragh this weekend, could bookend the card at Gowran Park this evening. His son Donnacha rides in both races for him, with two solid chances in the first and last maidens. Mount Wellington is a shade unlucky to be still going to the races with a maiden tag to his name but Brick By Brick franked his form at the weekend and he was only just touched off at Galway so looks the obvious choice to finally open his account later. In the finale, World Stage is another that was just denied on his last start, but he can make it third time lucky and a good evening for Ballydoyle. The McEnery Cup is a valuable pot at 6.00 and has attracted a competitive field but it could be a case of history repeating itself with Ellmarie Holden's My Direction given the nod to score. 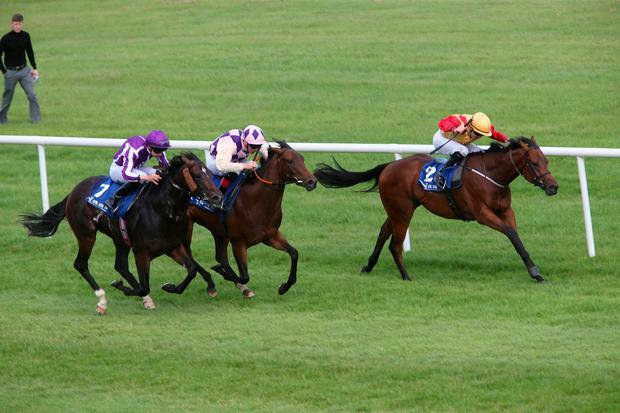 The versatile seven-year-old didn't manage to land a blow at the Galway Festival earlier in the month but he is a horse that will certainly handle the soft conditions at Gowran this evening better than some of his rivals. Although he'll be running here 15lbs higher than he was when winning the race last year, Oisín Orr's claim takes away 5lbs of that and he has run some nice races in defeat since then to suggest that there is another decent race in his grasp. While the aforementioned Donnacha O'Brien might be a dark horse for the Irish jockeys' championship, currently led by Colin Keane, Keane's father Gerry could be worth following tonight as it wouldn't be a major surprise to see him saddle a double with Jeremy's Girl and Howaya Hurricane.